Does Post Exercise Massage Improve Blood Flow and Reduce Lactic Acid? There was a recent study in the Journal of Medicine and Science in Sports and Exercise that discussed the effect of post-exercise massage on blow flow and lactic acid removal. You can see the abstract here. There is additional coverage here. The study wasn’t designed to determine the negative affects of lactic acid (or not) and that is up for debate as well. It was simply to determine if massage improved blood flow and thus helped to remove lactic acid post-exercise. Volunteers went through a forearm exercise regime that caused muscle fatigue and lactic-acid build up. So at the end of the day – massage did not improve blood flow and did not reduce lactic acid significantly. So does this mean that massage has no benefit. I don’t believe you can come to that conclusion from this study and neither do the authors of the study. They obviously feel that more research is necessary. It is quite possible that there are additional physiological changes that transpire with massage that are not reflected in this research piece. So…if our premise behind using massage post exercise or post activity is to help improve blood flow and to help reduce lactic acid, then we need to understand that this particular goal of treatment is not going to be accomplished based upon this reasearch. What are your thoughts on this study? Massage following exercise is still going to be popular – what is the rationale for use? Interested in your thoughts? Most of us will spend this weekend kicking off summer vacation, sprucing up the yard, firing up the grill, or just plain old relaxing around the house for a change. That is certainly all fine and good and I will probably be the same as well. It is also a time to remember. Remembering is very powerful and contemplating what others have done and gone through is important. This particular weekend is set aside to remember those who have served in the armed forces. Most likely, you know a close friend, a sibling, a father, grandfather, etc (or yourself for that matter) who has served in the armed forces. If so, I have no doubt that they would appreciate a kind word, a hug, or even a simple thank you – in remembrance of their (and their family’s) sacrifice. If you are up for it, I have read a couple of books a while back that give the average person (like you and me) a look into what many of our service men and women have to face in times of war. Ghost Soldiers and Brotherhood of Heroes are humbling books to read. The reality at the end of the day is that many never made it back. We remember, mourn, and pray for their families. For those that have made it home, we are thankful but also realize there are scars as well – we pray for their physical and emotional healing. And for the families that still have to carry on, with or without their loved service men and women, we remember them and lift them up as well. So as you enjoy the weekend, remember those who have served (or continue to serve) in the armed forces and their families. 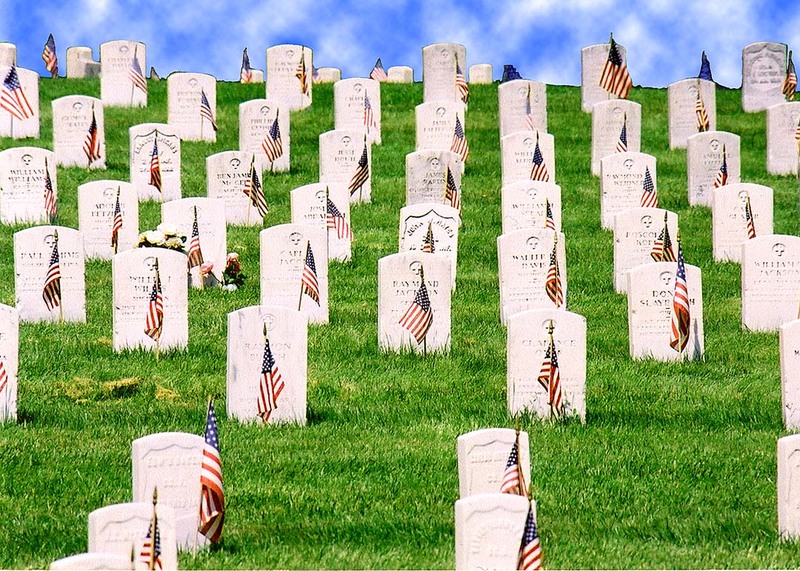 We will never understand the full magnitude of what individuals and families have given up. But remembrance is a small token that we can give to others to show that their lives and their efforts have not been forgotten. It is the very least that we can do. 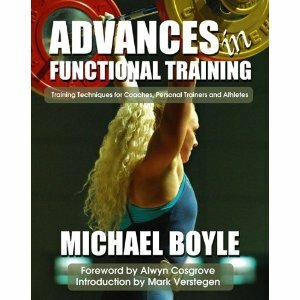 One book that I have recently added to my library is Advances in Functional Training by Mike Boyle. I have read about half of the book so far and it has been an excellent read and I would recommend adding this resource to your library. He has an athletic training background and so he does have that unique perspective of both a strength coach and an athletic trainer. The fact that he is primarily a strength coach gives additional insights for ATCs into the strength and conditioning realm that we may not normally see. Much of his coaching is based upon injury prevention reduction strategies – what lifts, training regimens, etc. are going to help reduce the likelihood of player injury. He is constantly tweaking and re-fitting to put his athletes in the best position to be successful and avoid injury. He is not afraid to go against the grain and to question sacred cows. My philosophy has always been – “just because we’ve always done it that way doesn’t mean it is right” – I think that is a pretty fair summary of how Mike does things and what is illustrated in the book. He continually challenges traditional thinking and is not afraid to challenge his own practices and strategies as well. Overall, there is a ton of information in this book that will reaffirm what you are currently doing and will challenge some of the strategies that you are currently using. I’d definitely recommend picking this book up and adding it to your library.